Have stubborn lashes that won’t curl? Or a lifestyle that doesn’t work with eyelash extensions? Sunday Beauty Boutique has the perfect, low maintenance lash solution for you. 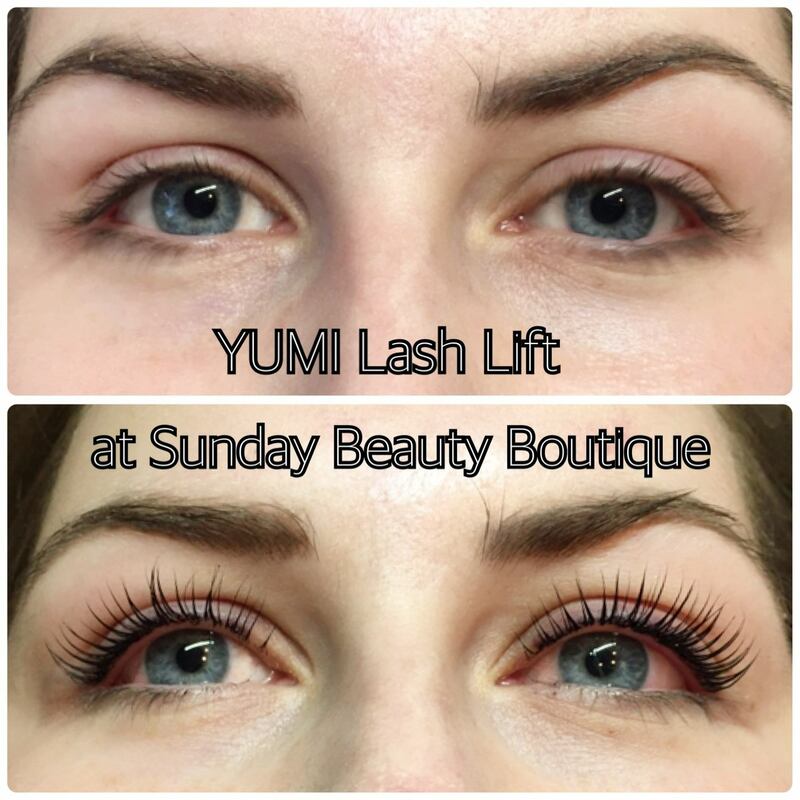 YUMI Lashes Lash Lift is a cosmetic treatment that enhances your natural lashes by lifting (curling) and tinting them. After the initial 24 hours of keeping your lashes completely dry, you’re free to apply makeup, work out, wash your face - basically get back into your everyday routine. 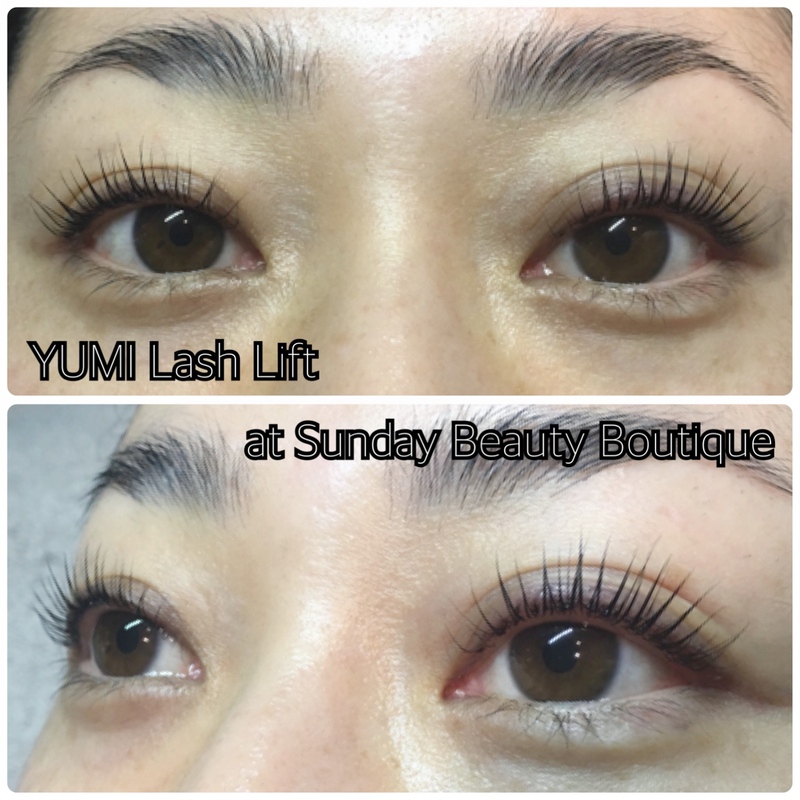 YUMI Lashes was launched in 2008 in Europe, and was first introduced in the USA in 2015. As the service became increasingly popular, especially among celebrities, certified training and product approval finally reached Canada in January 2017. 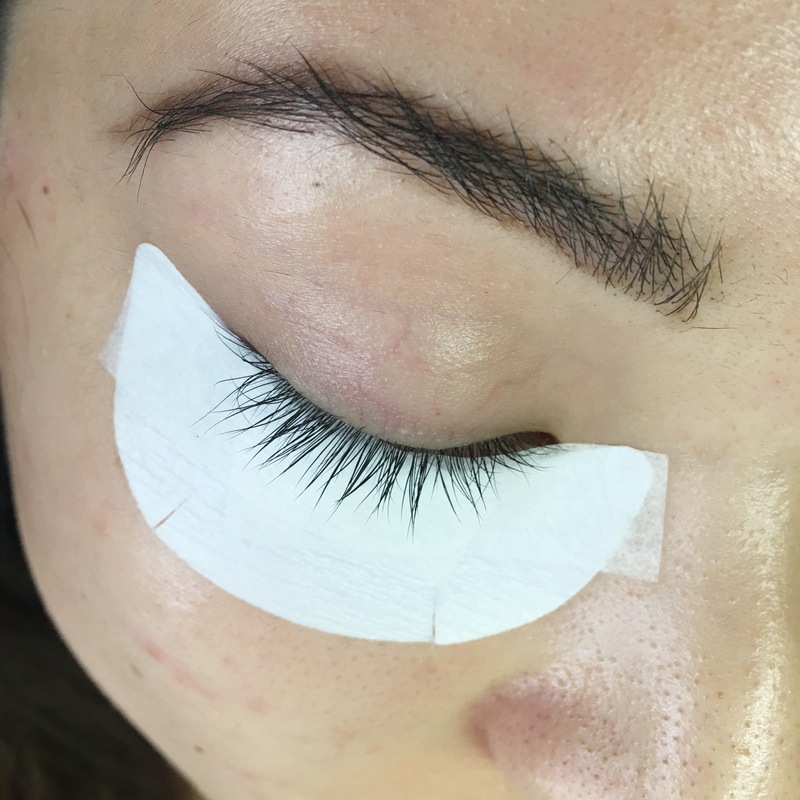 Now this highly requested lash lift treatment is available at Sunday Beauty Boutique, located in Vancouver, BC in the heart of the Kitsilano neighbourhood. 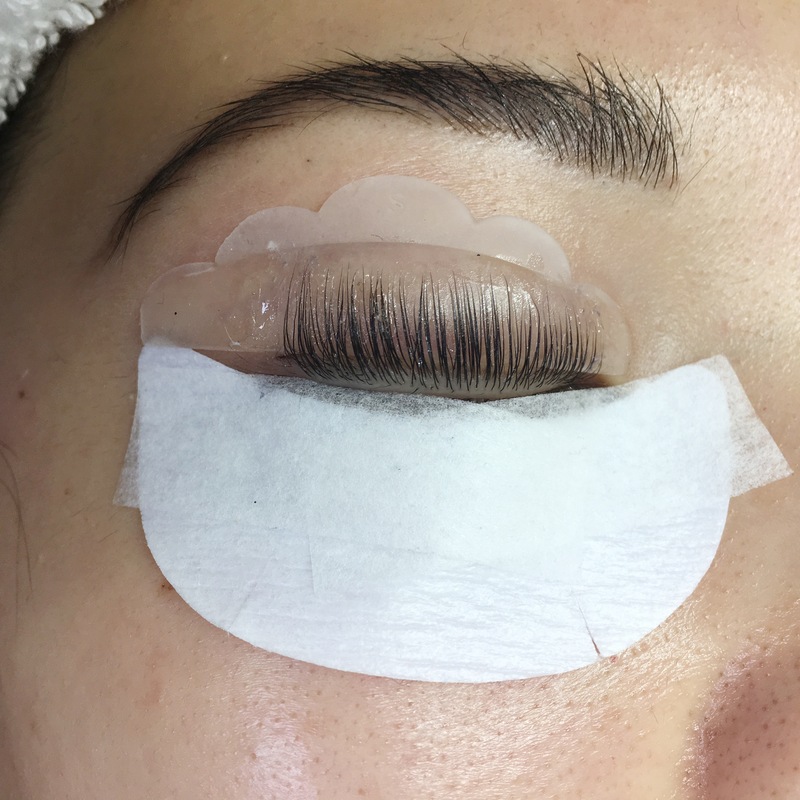 Keep reading to find out how to prepare for your YUMI Lashes treatment, what goes on during the procedure, the aftercare and FAQs. How do I prepare for my lash lift appointment? Remove all eye makeup. That includes mascara, eyeliner, eye shadow, foundation and concealer. Makeup residue can interfere with the effectiveness of YUMI Lashes products. Therefore, it's important to remove all makeup before your service. Especially mascara and eyeliner between the lashes and foundation/concealer around the eye area. 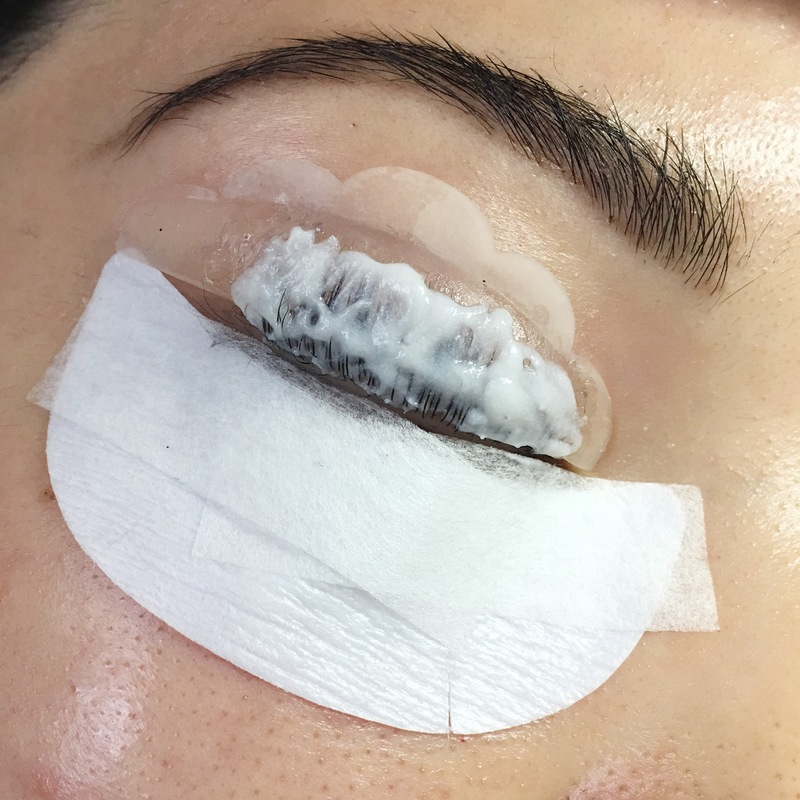 If you’re coming to your appointment directly from work, school, or don’t have time to remove your makeup prior, there are makeup wipes available at the salon for your use. 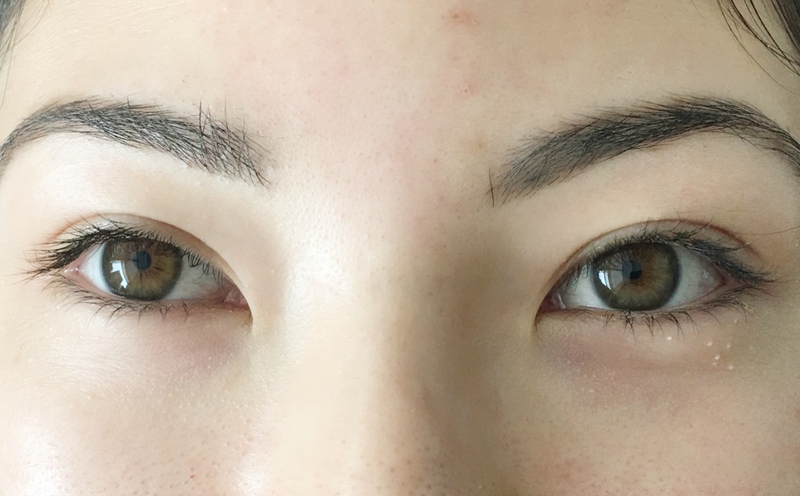 When I got my first lash lift, I removed my makeup right before my appointment and experienced a slight reaction on my eyelids (I have very sensitive skin). On my second try, I removed my makeup the night before, and didn’t have any issues at all. If you need to wash your hair, do so the night before or the morning of. After a lash lift, your lashes must be kept completely dry for at least 24 hours. Any contact with moisture prior to that could lead to the lashes uncurling. If you normally wear contact lenses, I suggest wearing glasses to your appointment or bringing your contact solution and case so you can remove them before your lash lift. In the event that any products get into the eye (which is quite rare), it can get trapped under the contact lens. Avoid caffeinated drinks such as coffee and tea. Caffeine can cause your eyes to flutter and twitch, and prevent you from relaxing during your treatment. Try your best to avoid caffeinated foods/drinks at least 3 hours prior to their appointment. If you forgot or absolutely need to have caffeine, don’t forget to visit the washroom right before your service begins. Will there be a consultation before my service? Definitely. Your lash lift treatment doesn’t begin until I've taken a look at your lashes to determine their length, thickness, colour and health. We will also discuss your expectations and answer any questions. 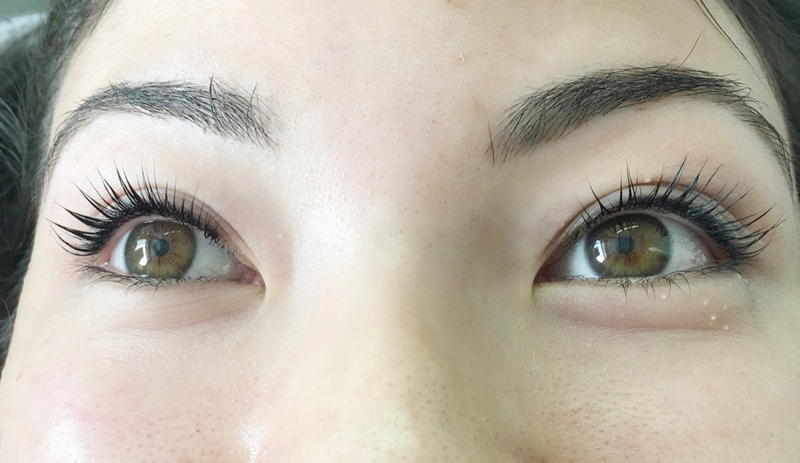 What can I exp​ect during a lash lift service? You’ll be lying down on a comfortable spa bed with your eyes closed for 1.5 - 2 hours. Clients usually take this opportunity to nap, catch up on podcasts or listen to music. Blankets and extra pillows are also available to maximize your comfort. Your eyelashes and eye area will be gently cleansed to ensure that they are completely free of any oils and makeup residue. 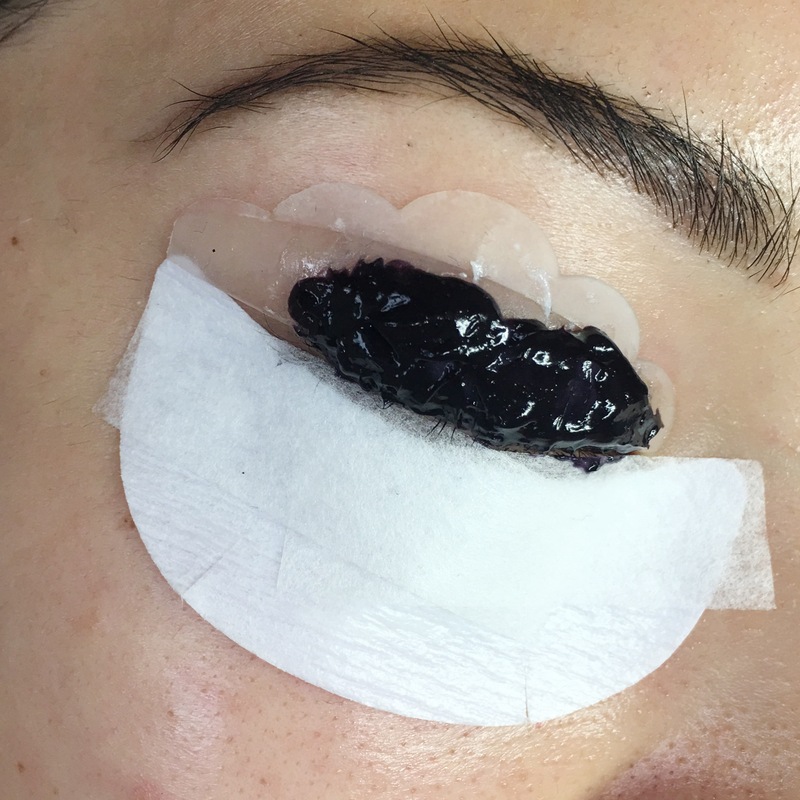 To protect your lower lashes and eye area, a pair of eye masks will be applied to the area underneath your eyes. This eye mask also has brightening and moisturizing properties. At this point your eyes will be closed until the treatment is over. Next, silicone forms will be fitted onto your upper lids. These forms come in three sizes: small, medium and large. Depending on your desired look, the correct size will be selected during your consultation. At this time, your lashes will be ‘sculpted’ to the shape of the silicone form. 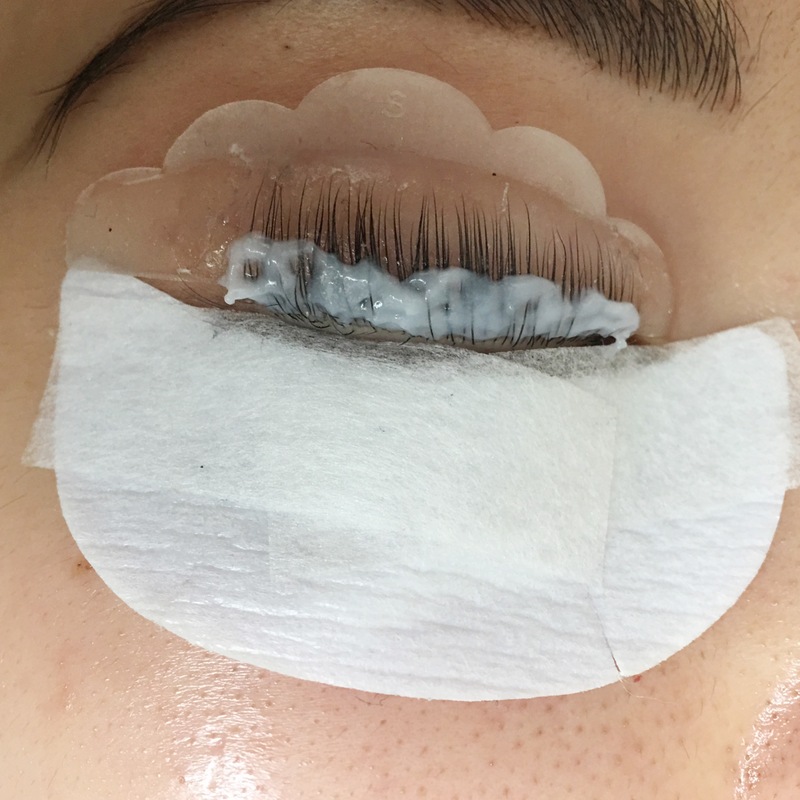 This step usually takes the longest as your lashes will keep this shape for 8-12 weeks after the treatment, so it’s important to make sure is lash is sculpted into the perfect position. After your lashes are set into place, the YUMI Lashes Lift solution is applied to your lashes, focusing on the roots. 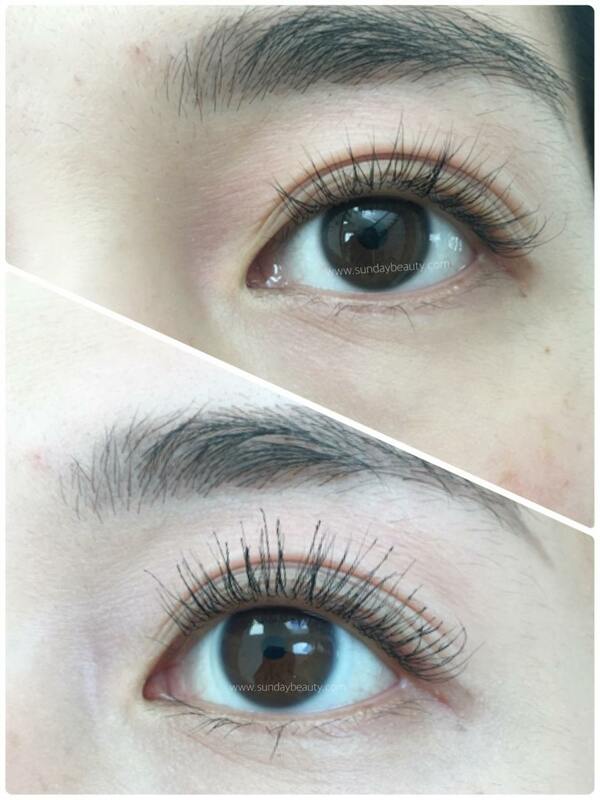 Traditional lash perms are applied to the entire lash which can dry out, weaken or even damage lashes. Once the Lift solution has processed and been removed, the Fix solution will be applied and removed after it has finished processing. Your lashes are now perfectly lifted, but we’re not done yet. To give them an extra boost, we will darken your lashes with a tint. Tinting can also help lashes look longer and thicker. Lower lash tinting is optional, although I will typically do it for blonder or light brown lashes. Once the lash tinting is completed, the silicone forms are removed with the help of the YUMI Lashes Nourish oil, and your lashes are gently cleansed to ensure that all products are removed. Finally your lashes will be brushed and the YUMI Nourishing protein mascara is applied before the grand reveal of your lashes! Freshly lifted lashes will look spiky, like you're wearing mascara. When you wash them (after 24 hours) they will become light and fluffy. Don't miss out on this exclusive online offer! What do I do after a lash lift? Simple. Keep your lashes completely dry and avoid touching them for at least 24 hours.This will ensure that your newly lifted and tinted lashes will keep their shape and colour. That means avoid swimming, crying, or washing/showering too close to your eye area. If possible, also avoid eye makeup as you’ll have to use remover to get it off at the end of the day. Although it’s tempting to brush out your ‘spiky’ looking lashes, please wait! Once you’ve passed your initial 24 hours, you can wash and brush your lashes as often as your like. The ‘spiky’ look will become more fluffy and natural, and at this time, it’s perfectly fine to apply mascara. Top: Washed and brushed lashes. Bottom: EyEnvy Conditioning Mascara applied. Typically up to 8-12 weeks. The lifted lashes don’t uncurl, rather they shed through the natural lash cycle and are replaced by new ones. Read more about lash cycles here. On average, a lash’s life cycle is about 100 days. This varies from person to person and can also be affected by the season. When can I get my lashes lifted again? 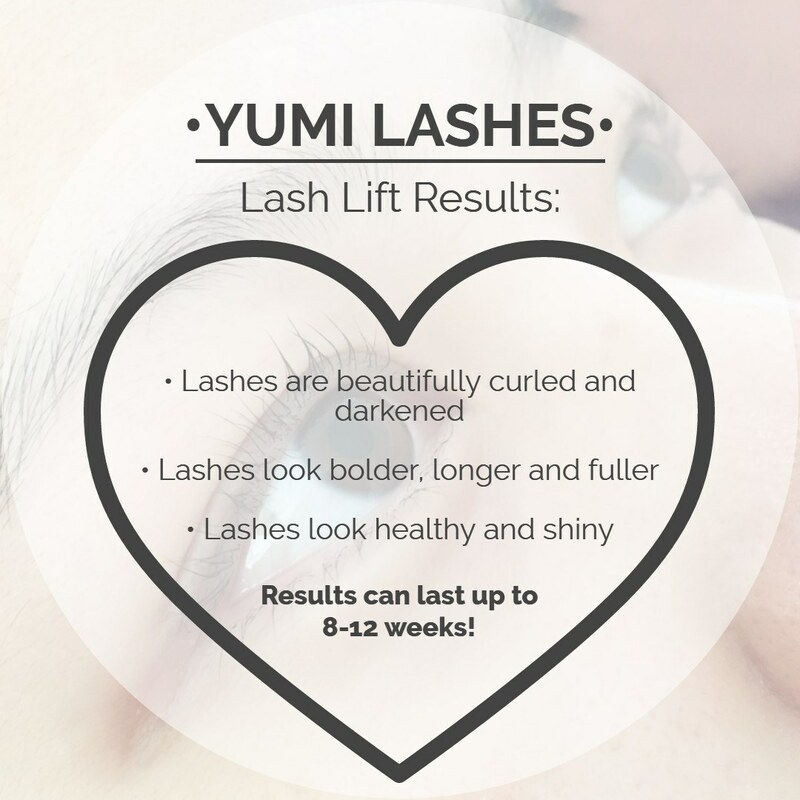 YUMI Lashes suggests waiting at least 4 weeks between each lash lift to ensure the health and integrity of your lashes. What’s the difference between a lash lift and eyelash extensions? With YUMI Lashes, no artificial lashes are added to the natural lashes. Instead, the existing lashes are lifted and tinted to create longer, thicker and darker looking lashes. With eyelash extensions, synthetic or mink lashes are applied to your natural lash using adhesives. Want to know more? Read my article about lash lifts VS eyelash extensions here. My lashes are already dark/black, will tinting do anything for me? Even with dark lashes you’ll notice that they are bolder and shinier with the tint. Our lashes tend to taper at the ends, so the tips are so fine that they are difficult to detect or can only be visible in sunlight. With the tint added, the tips will be more visible, thus elongating the look of your lashes. Can I wear makeup after my lashes are lifted? It’s very important to let your lashes set for the first 24 hours. After this time period, feel free to apply your usual eye makeup and facial products. Can I get a facial after my lashes are lifted? I would recommend booking your facial appointment at least 48 hours before or after your lash lift appointment. This will ensure that any products used during your facial won't affect your lash lift. I’m pregnant/ breastfeeding, can I get my lashes lifted? The hormones produced during pregnancy and after during breastfeeding can affect your lash lift service in several ways. Sensitivities and allergies that weren't present before could appear during this time. I would highly recommend coming in for a patch test at least 48 hours prior to your lash lift appointment. Pregnancy hormones can also affect how the YUMI products work on the lashes. That means some lashes will only lift slightly or not at all. At the moment, Sunday Beauty Boutique cannot issue refunds for lash lift clients who have been consulted and educated on these concerns, and decide to proceed with the service. Can I get a lash lift if I have sensitive eyes? Sensitivities/ allergic reactions to YUMI Lashes products are rare. Clients who've had previous reactions to lash/ eyebrow tinting or hair colouring should skip the lash tint step. For any sensitivities/ allergy concerns, I highly recommend scheduling a patch test before booking your lash lift appointment. I have an eye infection or condition, can I get my lashes lifted? For any eye infection, it’s best to wait until your eyes are fully healed before receiving treatment near your eyes. If you’ve had eye surgery, you must wait at least 6 months before getting a lash lift. For any other conditions, please consult with your physician first before scheduling an appointment. or contact us directly at 778-883-7993.